When you open the application you will be presented with the daily record screen. It defaults to the current date to allow entry right away. You may select any date you would like to enter for the current year running Sept – Aug.
With My Ministry, you can add notes to each day to provide you a reminder of what happened on that particular day, promises made to return, thoughts, etc. The second tab shows year to date totals that are current, and inclusive of all items. The graph and averages only include months that have been reported. 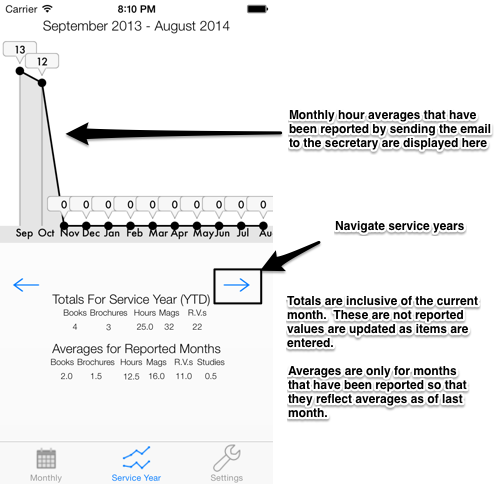 That decision was made to ensure that your graph and averages are current as of all reported months in case a month is skipped, it won’t lower the averages. 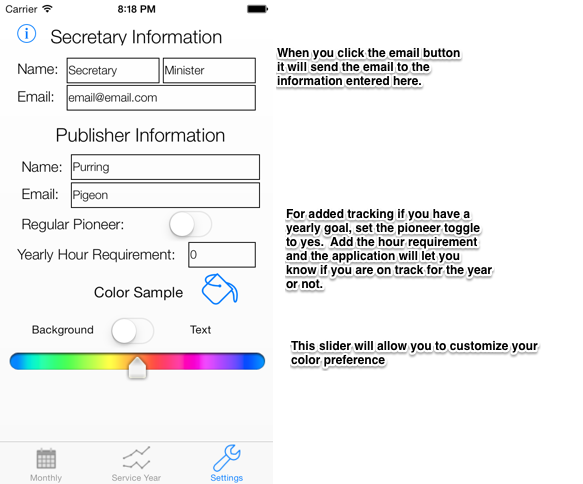 You also need to set up the Secretary and Publisher information to ensure that all features work as intended. Thank u for this app. Can u tell me how i enter minutes? For example 1 hour and 55 minutes? Hello. 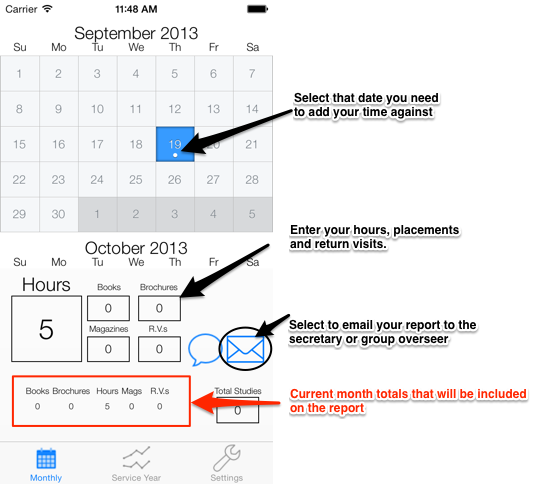 The app tracks time at hour and partial hour increments. For example 1 hour and 15 minutes would be 1.25 for one and a quarter hour. If we can put minutes. Can you make this available please? I thought about that but decided against it. Most publishers count in quarter hour increments. 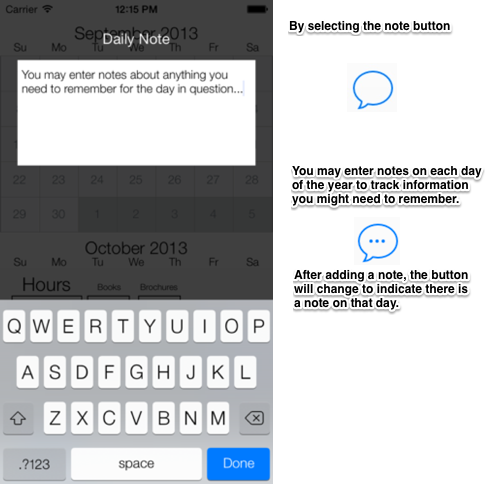 Adding minutes would make the app much more cumbersome for most. Thanks for the suggestions. Well i meant not so much individual minutes but like in 5’s such as 5,10,15,20,etc. i like to report my time as accurately as possible.